Comments: Only grow to 5-6 feet where it freezes to the ground yearly. Flowers in the summer and early fall in areas where not hardy. 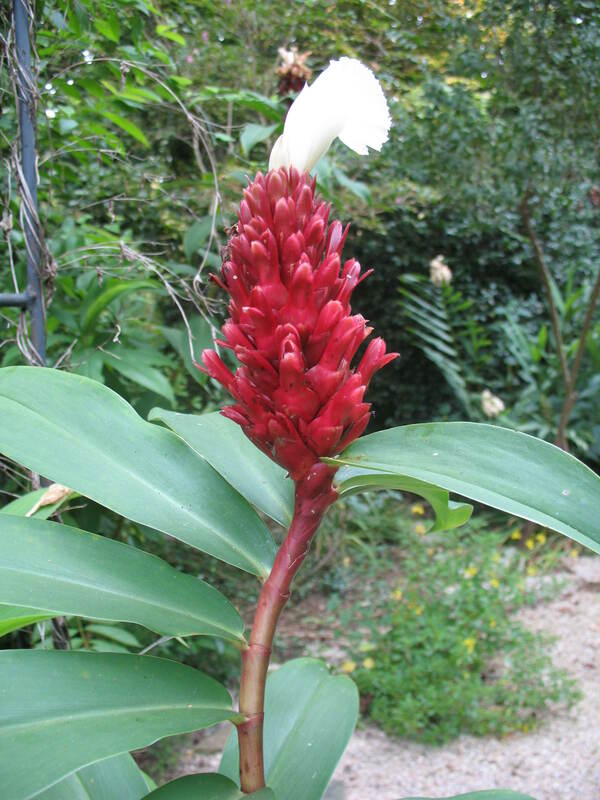 Very striking inflorescence cone from which white flowers emerge over a rather extended period.